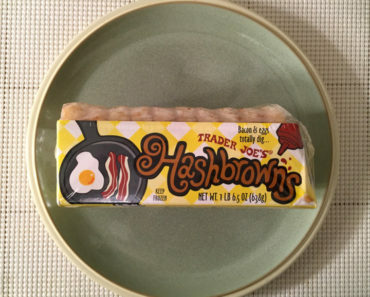 We have to admit, we really like the packaging for Trader Joe’s Turkey Corn Dogs. It has this cross between 1950s and 1980s design sensibilities, which really takes us back to our childhood. Corn dogs are a great summer finger food, so while the weather was hot, we thought it was a great time to give these corn dogs a try. 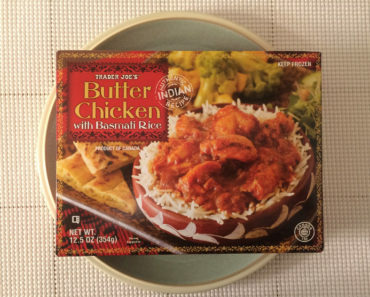 There are two cooking methods listed on the box: a microwave version and an oven version. Since there are four corn dogs per package, we decided to give both methods a try. First, we heated a corn dog in the microwave for 60 seconds. 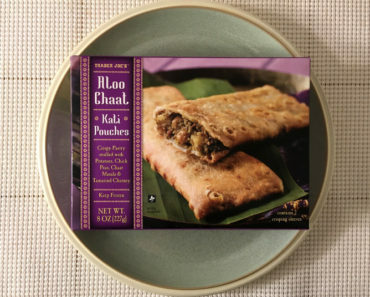 That’s no time at all, even in the world of frozen food, so it’s a very tempting proposition. 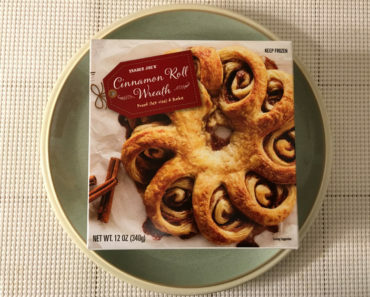 Of course, these really don’t turn out that great in the microwave. The breading has a soggy-sponge consistency, and the frank ends up extremely rubbery — this is like chewing on an old tire. Se we cooked a second batch in the oven. We preheated the oven to 375 degrees fahrenheit, then cooked two corn dogs for ten minutes, flipped them over, and cooked them for ten more minutes. This takes considerably longer than the microwave instructions, but trust us when we say it’s worth it. The batter breading comes out crispy on the outside and soft on the inside, which is how corn dogs should be. 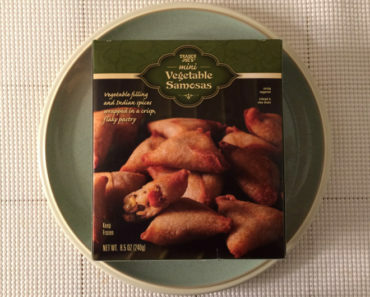 They’re a bit crispier than we typically like them, but this is preferable to the soggy microwave version by a considerable margin. The cornmeal batter breading tastes great too. 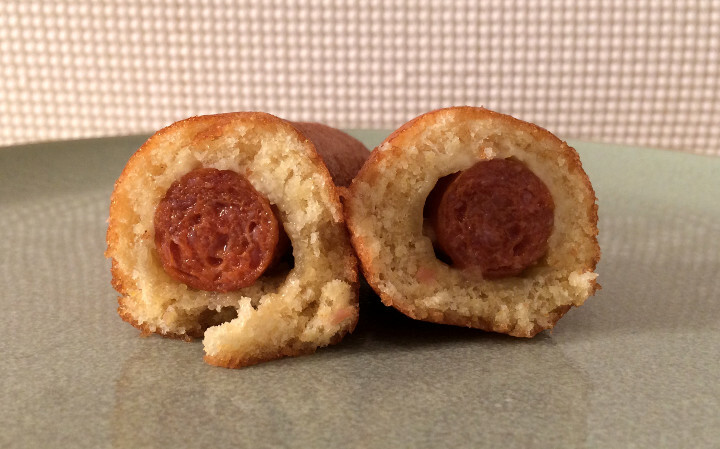 It has that nice, sweet cornbread flavor, which is the perfect flavor for a corn dog shell. The franks come out much better in the oven as well. 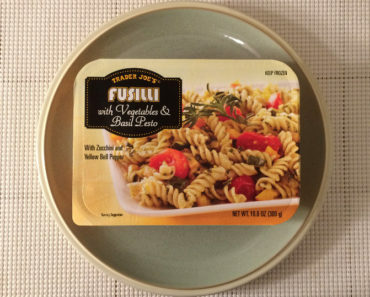 They’re still a little rubbery, but not anything like the microwave version. We do think they’re just a tad bit skinnier than we’d like our corn dog franks to be, but that’s forgivable because the flavor is spot-on. 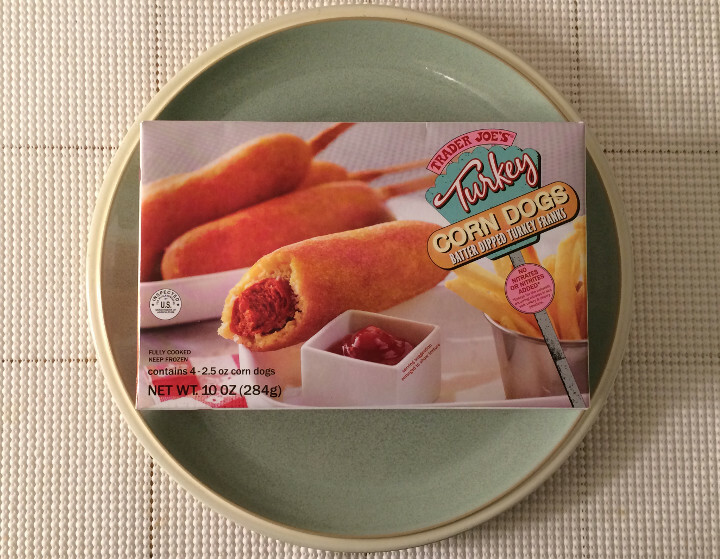 Trader Joe’s Turkey Corn Dogs scratch the itch for a summertime finger food. 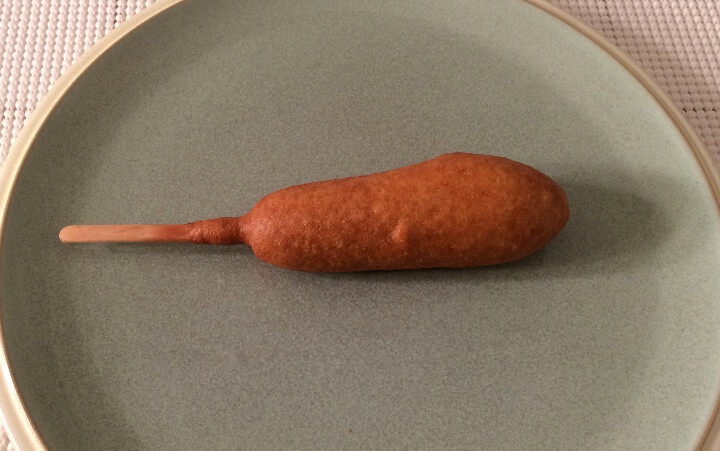 Just don’t expect to take the easy route and cook these in the microwave; the oven is the true cooking method for these corn dogs. If you want to learn more about the nutrition content or ingredients in these Trader Joe’s corn dogs, check out our package scan below.